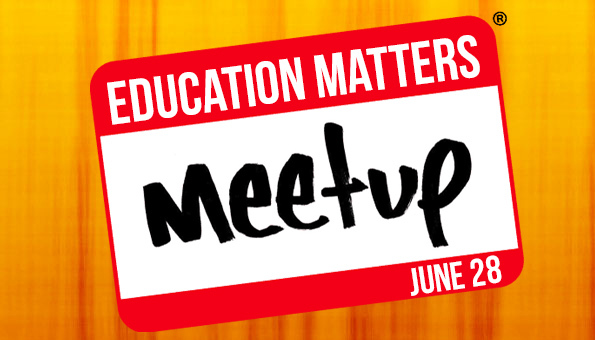 Alabama School Connection » Education Matters – Let’s Meetup! The Meetup platform is a way for those folks who have a common interest to find each other and to communicate with each other. I figure that everyone who reads the Alabama School Connection has some sort of interest in education. So I created a Meetup group: Education Matters. Our first meeting will be at the Hoover Public Library (free public meeting space for nonprofits!) on Sunday, June 28 from 2:30 to 3:30 p.m.
Everyone who has an interest in education is invited to attend. You don’t have to sign up for a Meetup account (though it’s free) to attend, though it would be nice to know how many Connected Community members (that’s what we’re called!) might show up if for no other reason than to make certain we have a big enough room. Monthly Meetups will be posted on Facebook, too. Here’s my attempt at enticing attendees, as published on Meetup in the “About Us” link. 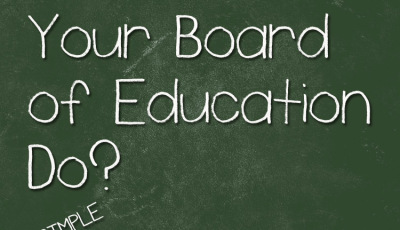 Let’s get together on a monthly basis to discuss and learn what’s happening in education in our community. Parents, teachers, & community members from ALL of the neighborhoods in the multiple school systems in Jefferson and North Shelby counties are welcome and invited. We can have live speakers, panel discussions, and book studies along with respectful conversation about education in our area. Let’s talk about what’s going right and what we can do to build stronger schools in our area. This effort is led by the Alabama School Connection, Alabama’s only nonprofit news site that focuses solely on K-12 education matters. Our goal is to propel K-12 education into Alabama’s everyday conversations. So let’s do it. This is not a forum for any partisan or identifiable group, but rather a place where all of us can get together to learn and discuss what matters to us: the education of the young people of our community. I continue to connect with people who have an interest in education but are frustrated because they just don’t know how to plug in and connect with each other, particularly across school and/or district boundaries. Those invisible borders constrain us and keep us apart. Traditional education connections just aren’t working well. 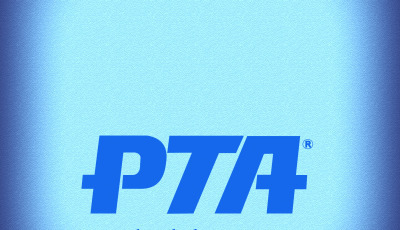 PTOs and PTAs are school-based. 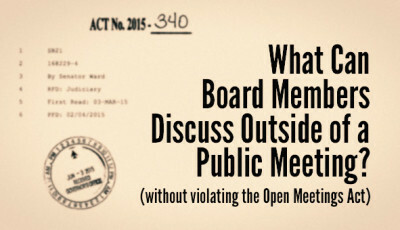 Board of education meetings aren’t a good place for ordinary folks to discuss and deliberate. Community members with no children or grandchildren in school but who still care about education don’t know which meetings they’re allowed to attend. Teachers have time challenges that don’t allow them to connect with teachers other than those within their schools. Public officials aren’t used to being in the listening chair. Whether you’re a parent, a teacher, a student, a board member, an administrator, a superintendent, a community member, an elected official, a business owner…..no matter who you are, if you believe that education matters, please join us. Whether your child attends a public school, a private school, or a homeschool, if you believe that education matters, please join us. Whether you live in Hoover, Tarrant, Pelham, Fairfield, Homewood, Vestavia….anywhere around here (which includes other counties! ), if you believe that education matters, please join us. As I said in the description, this is not a partisan group nor is it a place to advocate for your particular favorite education reform. It’s a place to connect with others and strike up a dialogue about education in Alabama. Too often, we act in very ordinary ways, digging trenches and closing our minds based on what we think we know about what is and isn’t working for our children. We know our children deserve a great education…the question remains how do we get there? What is it exactly that needs to be done? And what can we, as a Connected Community that crosses school and district lines, do to help strengthen and improve schools for all of our children? One of three books Mathews has written about public schools. For the past 13 years, I have engaged in various groups put together to address issues in education. My early years were informed by current Kettering Foundation CEO Dr. David Mathews’ books about community ownership of public schools. Recognizing the fragmented state of connectedness among those who believe that education matters, I have tried various ways to connect people with information, believing that if folks feel more informed, they will be more likely to engage with education decision-makers in their communities. In April, the David Mathews Center for Civic Life released the 2015 Alabama Civic Health Index (ACHI), which looks at various measures of how communities engage with each other and with their elected and appointed officials. Three key areas are explored in the ACHI: political action, social connectedness, and public work. Political action has to do with voting, discussing politics with family and friends, contacting public officials, expressing a public opinion online, and buying or boycotting products. 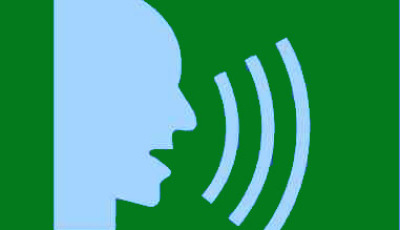 Social connectedness includes eating dinner with members of one’s household, communicating with friends and family, talking with neighbors, doing favors for neighbors, and participating in groups. Public work is comprised of attending public meetings and working with neighbors to fix or improve something in the community. I was struck by those items in which Alabama showed either great improvement or great decline from 2010, the last time the ACHI was measured, to 2013, the time period the new measures reflect. One of those improvements had to do with the willingness of Alabamians to contact and visit public officials. Alabama ranks 34th in the nation for contacting and visiting public officials; which represents a tremendous rise from its rank of 51st in 2010. It is encouraging to note that Alabamians are demonstrating a greater willingness to bring their concerns to the public officials that represent them. With respect to social connectedness, nearly 36% of Alabamians reported being members of a group or organization, giving us a rank of 31st in the country. Only 18% of Alabamians reported being a member of a school group, community or neighborhood association. Those two were lumped together, so it’s unclear how many were members of only school groups. On the good side, 83% of Alabamians see or hear from friends or family frequently, giving us a rank of 6th in the country. The U.S. average was 76%. Citizen participation in public work constitutes one of the most important indicators of civic health. Public work involves working with others to solve a problem or improve something through the process of deliberation and action. Measurements for public work include both attending public meetings and working with neighbors to solve problems or improve something in the community. Very few Americans attend public meetings (8.3%), and even fewer work with their neighbors to address community problems (7.6%). Public work in Alabama paints an even more dismal picture. Only 5.4% of Alabamians attended a public meeting in 2013, ranking the state 49th in the nation. Alabama ranks last (51st) for percentage of the population (4.7%) working with neighbors to fix or improve something in the community. Alabamians’ participation in public work starkly declined from 10.1% to 4.7% between 2010 and 2013. Reading this made me question whether Alabamians have what it takes to fix our own communities. Don’t get me wrong, there are lots of great people doing lots of great work in their local communities. But this statistic tells me we have nowhere to go but up, as we can all agree that 51st is rock bottom. The people of Alabama face great challenges. Funding for prisons, Medicaid, courts, and public education are always at the forefront. Finding new sources of tax revenue seems a never-ending quest…never-ending because it is never solved. Finding successful strategies to address generational and cyclical poverty. The past four years have seen education reform move at a rapid pace in Alabama. The implementation of common core state standards, a change in student assessments, the federal waiver from No Child Left Behind, a new A-F accountability system, a change in teacher and principal evaluations, the Alabama Accountability Act, Innovation School Systems, the deregulation of private schools, the addition of public charter schools, the increased use of education technology (devices and applications), decreased overall funding for schools, questions about data privacy and security, substantial re-organization of the Alabama State Department of Education, and a legislature that seems very interested in playing a larger role in education than it has previously….all of these are substantial changes in public education. And all of these changes have happened in a state where the public has become less involved in solving its own problems. Which necessarily means that fewer people are making decisions that impact larger groups of people than ever before. All of this adds up to a need for us to connect on a regular basis to discuss education matters in our communities. For this first meeting, we’ll spend a little time getting to know each other and identifying, as a group, what issues we want to explore. If you’d like to participate through the actual Meetup application, I’ve started a forum thread asking what topics you might be interested in learning more about. Please join the conversation. You can also comment in the Facebook comments below. This is an exercise in public deliberation and public discourse. We will be respectful of each other’s opinions, recognizing that everyone who attends believes that Education Matters. Yes, I’m hopeful. And I’m really hopeful you’ll join me in Hoover on June 28th.